“New West Week” will also include a look at California’s diverse hip hop community and the growing art movements. Each day of New West Week will feature its own category: The Black Hippy, The Future, The Up And Coming, and The Party & The Underdog. 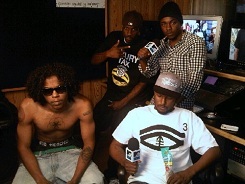 With Black Hippy’s quick rise to fame, MTV’s coverage should prove to be another great step for the West Coast ambassadors.